Our mission is to provide exceptional golf instruction in a friendly, non-intimidating environment to empower you to Play Your Best Golf. 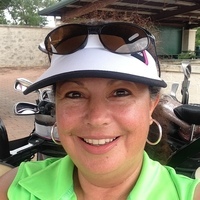 Patricia Ornelas Henry, a Ladies Professional Golf Association Teaching & Club Professional "Class A" certified instructor, has played and enjoyed the game of golf for 40+ years. As a professional golf instructor since 1998, Patricia has dedicated herself to bringing greater enjoyment to numerous students through innovative teaching methods. Patricia exudes a passion for teaching and a love for the game of golf that translates into real improvement in her students' games. Rather than adopting a "cookie-cutter" approach to teaching, Patricia believes that each student's individual goals, preferred style of learning, and existing physical limitations should dictate the optimum learning path. Unfortunately, methodology teachers do not take these personal factors into account, impeding a student's ability to make changes easily and quickly. With a customized approach, Patricia works with your body and normal tendencies and not against itresulting in a swing that does not place unnecessary strain on your body or produce unpleasant, or possibly painful, positions. Working within your own capabilities will ensure that your swing is more natural and easier to repeat. Patricia addresses the total golfer in her teaching, ensuring that every aspect of your individual gamephysical, technical, mental, and emotionalis attended to. Her goal is to improve your swing and scores, and also to increase your confidence level and enjoyment of the game. A native Texan, Patricia was raised in Austin, Texas, and is a product of Austin's junior golf programs. Patricia is a graduate of Florida International University after attending Texas A&M University. She has competed extensively as a junior golfer and also on a collegiate level. In professional competition, Patricia won the 1999 United States Golf Teacher's Cup Ladies Division and the 1999 World Golf Teacher's Cup Ladies Champion. She also competed on Houston's Gateway Developmental Tour and in several State Open Championships. Patricia now competes in the LPGA T&CP's National and Central Section Championships. Patricia has also served as an instructor in numerous local endeavors, including the Austin Junior Golf Academy, the First Tee of Greater Austin, the LPGA-USGA Girls Golf Program, the Executive Women's Golf Association clinics, the LPGA Crayola Kids Golf Clinic and Ronald McDonald House Junior Golf Clinic. Patricia credits her love of golf to her father, Pablo Ornelas Jr., who was often compared to the legendary Harvey Penick in his teaching, and who passed on his knowledge and love for the game to his daughter. Her mother, Ofilia Ornelas, taught her by example, how to be patient and understanding, tolerant yet assertive. And both parents instilled in their daughter the value of perseverance. All great qualities found in an exceptional instructor. That's why Patricia loves teaching the game of golf to anyone who wants to learn regardless of their skill level. 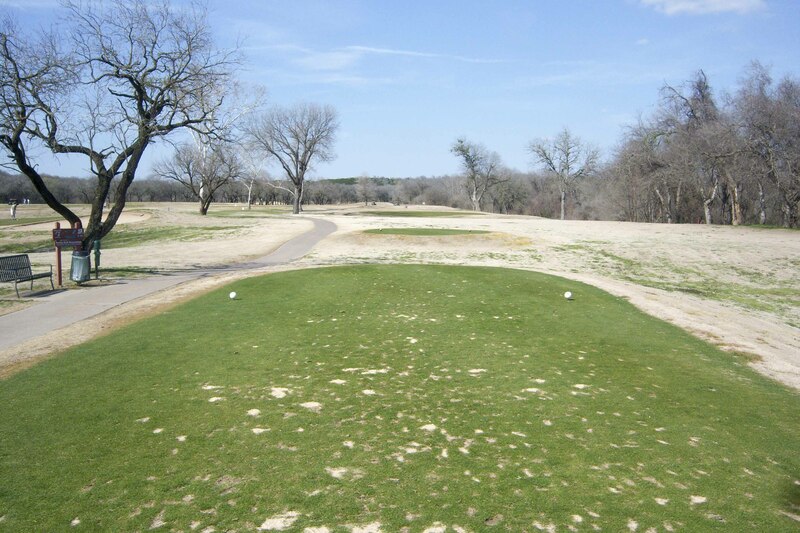 Patricia is located at Jimmy Clay-Roy Kizer Municipal Golf Courses in Austin, TX. For more information about instruction or club-fitting availability, please contact Patricia via email or phone listed in the contact information. O. Henry Golf is conveniently located in South Austin at the Jimmy Clay/Roy Kizer Golf Complex, featuring two challenging and scenic 18-hole courses with all the amenities you'll need to work on every aspect of your golf game. This municipal facility, nestled next to the beautiful McKinney Falls State Park, provides an over-sized driving range, a four-hole short course with its own practice putting green and practice bunker area, a short range for hitting your own practice balls, and two separate putting greens. These practice areas are the perfect location to hone your skills and improve your level of confidence. And when you're ready to hit the links for an on-course lesson or to enjoy your next round of golf, choose between two of Austin's finest public layouts - Jimmy Clay Golf Course or Roy Kizer Golf Course. The Clay course is a more traditional tree-lined layout which underwent extensive renovations in 2007, including the redesign of several holes, the replanting of all putting surfaces and major bunker work. The Kizer course features a links-style layout covering close to 200 acres in a nature-friendly design which incorporates lakes and wetlands. Both courses are home to a variety of water fowl, deer, red-tailed hawks, and occasionally wild turkeys! A pro shop stocked with select golf merchandise and a convenient snack area, operated by Players, are also available. For more information about this City of Austin facility, please visit this link: Jimmy Clay/Roy Kizer Golf Courses. Since taking instruction from Patricia, I have seen a dramatic improvement in my handicap, which dropped by five shots over the last nine months. Because of sports-related injuries and poor technique, I would get sore just after hitting a bucket of balls, but after two or three lessons, that went away completely. Patricia has a way of very quickly figuring out what needs improvement - she rapidly assessed my problem and made the adjustments to my swing. She really understands a person's goals by asking a lot of questions and she gets down to what you want to accomplish individually as a player. Patricia built trust immediately with me and I have complete confidence in her knowledge. I would recommend her to anyone searching for a golf instructor. In the course of that very first lesson, Patricia did something truly unique. She started the lesson by asking me about my physical limitations. After learning that I had some lumbar disc degeneration due to osteoarthritis, Patricia recommended a set of stretches and cautioned me to build my extension in the turn gradually and naturally. Patricia has me take notes on what I have learned at each lesson and checks my notes to make sure that I understand what she wants me to work on in the future. Most importantly, Patricia always asks me how I feel when she introduces me to a new drill and makes sure that I build on what I am able to do. This highly personalized kind of golf instruction paired with Patricia's positive attitude about what I can accomplish has transformed both my game and my appreciation of golf. I will continue to use Patricia as my golf instructor because she is simply the best! If you want the chance to improve your game and get the kind of personalized instruction you deserve, I highly recommend her. Pat has really helped me with both the mental and technical aspects of my game. I have steadily improved this past year especially during tournament play...previously, I was unable to crack the top 50 in the Austin Amateur golf points leaderboard, but I finished the year ranked 17th. My highest finish was fourth in the year-end Austin Amateur Championship and I am currently ranked 10th in this year's running for the Austin-San Antonio Match. She has been helping me with a swing fault and I am now in a much stronger position at impact. Not only am I a more consistent ball striker, but she has also gotten me to the point where, in any given week, I feel I can be competitive in tournament play, which I've never really felt before. I've improved two to three shots per round, and Pat has shown me how to be more positive and confident on the course and THAT has led to real improvement in my golf game. Patricia provided me with some great swing tips after working with me on the driving range. Her advice couldn't have come at a better time as I had been struggling with a wicked pull-hook off the tee. After working on those tips, I recently played and shot my career low... 64 with seven birdies! My shots off the tee are much tighter and I can tell what we worked on is helping those shots. Patricia's teaching method is grounded in basic principles and easy to understand. During my off-season I will take a video lesson from Patricia and continue to improve my swing before the local tournament season begins.